of the International Association for Identification (iai). TRITECHFORENSICS is the Exclusive Training Partner of the International Association for Identification, the world's largest forensic science organization. 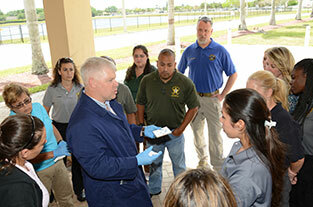 Each course is crafted to provide exceptional training by some of the best forensic instructors available. After you explore our course catalog and upcoming courses, check out our online articles. Frequently updated and written by talented instructors, the information you find on our Online Articles page will give you a head start in your learning experience. By hosting one of our courses, you will be offering the forensic professionals in your local area high-quality training. This means less cost to you or your agency for expenses like travel, lodging, and meals, and less time away from home and family. Why Choose Tri-Tech Forensics Training? We believe in training that will help you succeed. Tri-Tech Forensics Training provides the tools, tips, and knowledge that are must-haves in today's fast-paced world. 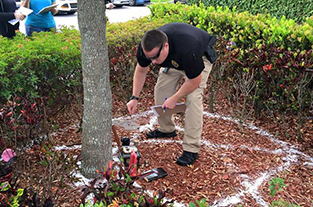 Tri-Tech Forensics Training provides a solid base for forensic training. Where do our students live? Where are our courses hosted? Check out the maps to see who is attending and where they've been! I have learned so much in this one week in a practical approach that encompasses a great deal of scenarios we would see on the job. The instructors were very knowledgeable and had a way with explaining things that made it click. Thank you! I’m writing today to thank Tri-Tech and Morgan Hays for teaching such a wonderful Palm Print class. ... Morgan really helped me to better understand the palms, which I was having a really difficult time with. He made the entire class interesting and enjoyable, and he really broke down everything so well, making it easy to understand. I was able to retain the information so well, and I believe his practical exercises played a huge part in that. I would also like to share with you some personal information. I had previously taken the BIS certification test at FDLE but did not pass it. However, the week after Morgan’s class, I retook the test and just found out I passed!!!! I’m so excited and relieved as well as my department (lol), and I truly feel that I owe my success to Morgan and Tri-Tech. Thank you so much.